If you know anything about me you know I am not a fan of washing my hair. First off, it’s terrible for your hair color + it strips the natural oils you need for your hair to be healthy and shiny. I have truly conquered this skill. My dear friend Katie Mak has been asking me to write this post for a long time so I figured it was perfect timing with spring being here. Remember not everyone has the same type of hair + many don’t color treat hair so the results may vary. Buuuuuut I promise to get you to at least 3x days of no washing (I can go for 5)! Also, the days I get the most compliments on my hair is when I have gotten creative with styling. Ok, let’s begin! BOOM! You are washed and beautiful and feeling fine. The #1 thing about Day 1 is to put barely any product in your hair. A light spritz of hairspray and in my case I use a bit of Mythic Oil on my ends to help with shine. Now, I have super straight hair so I don’t curl it or anything on Day 1. 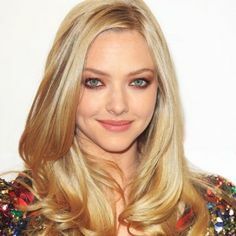 If you have naturally wavy hair you need to blow straight or let it have a slight bend. If you have curly- wear it that way. 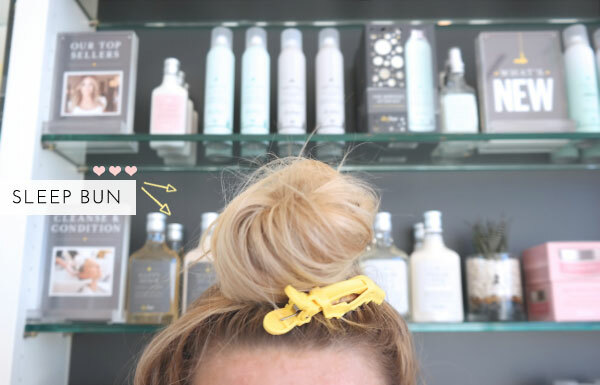 Wear it the way your hair naturally wants to be. This is THE most important piece of advice I can give you-perfect the sleep bun. Throw your head over and grab all your hair in one hand in a ponytail. Start twisting the hair in one direction and pin. I literally put my bun on the top of my head (my husband calls it the George Washington). Don’t use a rubber band. This will save your hair. And if you have layers- it will magically frame your face for the next day. Do this nightly and I promise it’s a #GameChanger. Here we are! I like to still wear my hair down on Day 2 but getting the face framing pieces of hair out of your face is key. When your hair is down you touch it constantly putting extra oil in your hair. If you pin them out of your face….viola your hair stays fresher longer. *If you want to throw some curl in- go ahead. Just go easy with little product. Whoooo hoooo! You are doing GREAT! Now if your scalp is bothering you…you can throw in some dry shampoo. I try to wait til the last possible second to do it so my color doesn’t look off. Time to get creative. Do you want to throw in a braid? Some twists? Updo? Let’s do it! *I honestly believe braids are best when your hair is somewhat dirty. It holds better. Time to get that hair up honey!!!!! I don’t care what you do…just get it off your neck! Yessssss almost home free! This is when you pull out all the stops. Hats, scarves etc… whatever you have to do to make it to Day 6! ACCESSORIES ARE YOUR FRIENDS AT THIS POINT!!!!! And there you go! I can not wait for you to try these different tricks and hairstyles. As encouraging women that we are, share this post with other friends so they can pratice too! Thank you all for the wonderful comments on my anniversary trip to Hawaii. We had the BEST time! Also, I promise to be better with constant posts…life has just been a little crazy lately. As always, I love you all and I do this all of for you! Any questions or different ideas you want me to discuss….write below! Til next time. Tags: beauty blogger, Beauty expert, beauty pro, dirty hair, dry shampoo, hair, hair tips, Los Angeles. Bookmark the permalink.